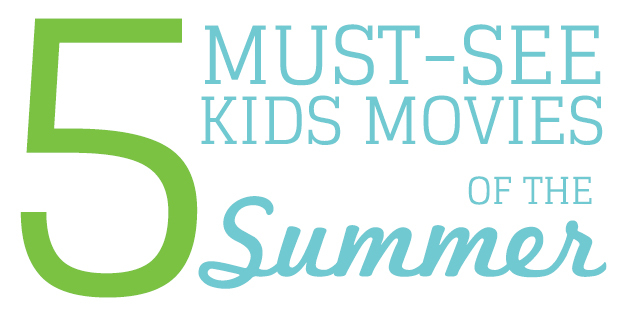 Are you ready for a wonderful collection of Pixar, Disney, prequels and follow ups to kids movies this summer? Get ready to laugh all summer long at some greatly anticipated summer releases. Here are the Top 5 that we are most looking forward to seeing! Even though this film may be geared toward the youngsters, it’s the parents who’ve been waiting 12 WHOLE YEARS since the first movie rocked the theaters. Sully, Mike and a whole host of new characters make the previews for this prequel look like a real contender for the original. Personally, I’m a little bummed my favorite character, Roz, is rumored to not be making a repeat performance, but who knows! A few members of the Bubble Factory have already made it to the theaters and only have the BEST things to report. This sequel just may be my most anticipated film of the summer. Who can say no to an adorable Minion? The whole gang is back, including Agnes, Edith, Margot, and Gru, played by Steve Carrel. This movie has the perfect amount of jokes for the little ones in the seats, as well as the parents accompanying them. Also making an appearance on screen is the new character Lucy, played by Kristen Wigg of SNL & Bridesmaids fame. Every time I watch the trailer, I find myself chuckling, giggling and getting more and more excited for its release date. I can’t honestly say I’ve seen the first Smurfs movie, but I’ve heard wonderful reviews. I grew up watching the original TV show, and their little blue faces bring back childhood memories. Did you see the original? Share your reviews of the movie in the comments section below! So, this may not technically be out in the summer, but it looks SO good, I couldn’t help but add it. From classic children’s picture book, to full-blown movie, Cloudy with a Chance of Meatballs has become a phenomenon. The characters and situations they find themselves in are hilarious. I’m looking forward to seeing how they progress the story of Flint Lockwood and Sam Sparks. A snail with the speed of a race car? Count me in. It’s like combining A Bug’s Life and Cars all into one movie. This story about a little speed racer and his odd group of friends looks like it’ll be a real laugh for your little one. This is the only movie on this Top 5 that I doubt will contain many jokes geared toward the adults. Did I miss any movies you’re looking forward to this summer? Add your suggestions in the comments below!